AndroidPIT has launched a fantastic new way for you to save money on great tech. Our deals page is filled with the hottest products at the best prices, no catch, no questions-asked. This week we have an extra-special deal on an epic shockproof, rain-resistant, external battery: the ZeroLemon SolarJuice 20000mAh Battery. Power up your Android smartphone, tablet, or other USB-compatible devices over and over again with ZeroLemon's massive 20,000 mAh portable battery. 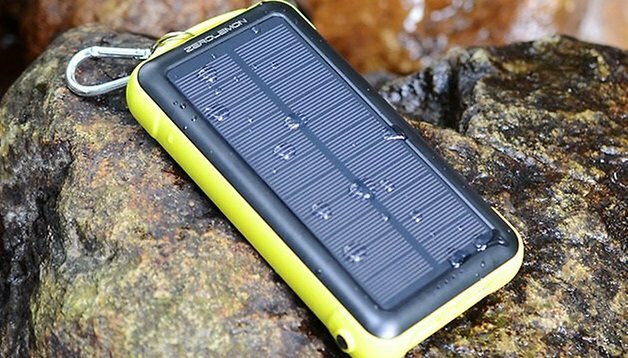 The high-quality Lithium Polymer portable battery pack is designed to charge at home or with the power of the sun, for an enormous amount of extra battery fuel for life on the move. Make sure your Android smartphone or tablet never runs out of battery while you're out and about with the ZeroLemon SolarJuice. The RRP is 100 USD, but you can pick the SolarJuice up this week only for 49.99 USD with free shipping - that's a 50 percent saving. Don't miss out on this fantastic offer, head here to get 50% off the ZeroLemon SolarJuice 20000mAh Battery. Let us know in the comments below what other great deals you'd like to see grace the AndroidPIT store. Why is this only available in the UK? ? why do we have to miss out?